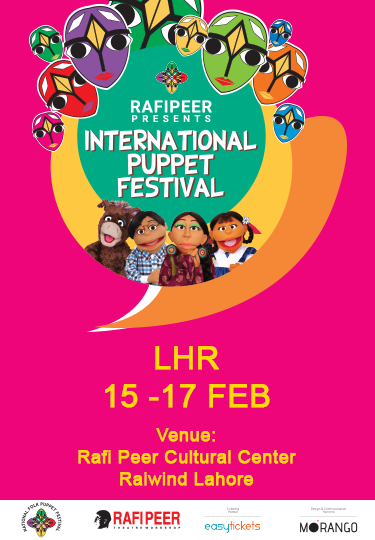 Rafi Peer's International Puppet Festival is one of the largest cultural event for children and families held in Pakistan. It is dedicated to promoting Puppetry, Storytelling, and various unique forms of puppetry from around the world. Since the inception of the International Puppet Festival in 1992, this platform has been instrumental in engaging and entertaining children by learning through the arts. In a grand celebration of International Puppet Performances, workshops, parades, and guided visits to the Puppet Museum the Puppet Festival is set to be a delightful display of music, puppetry, Arts and crafts. Held at the Rafi Peer Cultural Center in Raiwind, the festival is provides a beautiful opportunity to get out of the city and enjoy a day in sun bringing together great performances, good food and wonderful experience for children and families.